Oxford University recently appointed its first female vice-chancellor, but Oxford has a long history of strong women, stretching back 1,300 years, to its founder and patron saint, the Anglo-Saxon Princess Frideswide, whose life spanned both the 7th and 8th centuries, and whose name means ‘Strong or Great Peace’. Frideswide was clearly a remarkable young woman, who overcame formidable challenges. Yet while overseas visitors to Oxford encounter her story, through a glowing stained glass window by Edward Burne-Jones near the saint’s medieval shrine, not many local people know it. Through role play and storytelling, Cathedral Education Officer, Jackie Holderness, regularly shares Frideswide’s tale with school children. Her tale is one of adventure, courage in the face of danger, faith, friendship and kindness – and full of drama along the way. 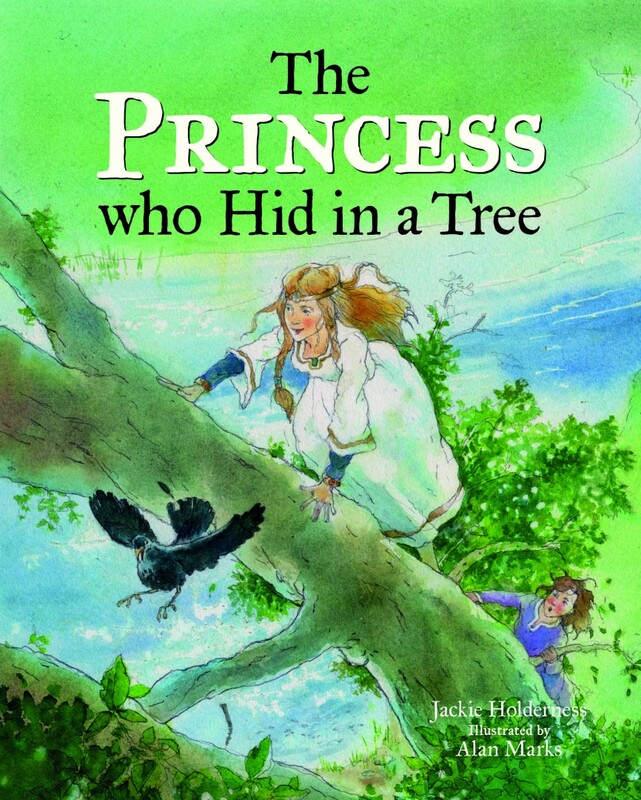 Jackie has now retold this story for younger readers in a picture book, illustrated by award-winning artist Alan Marks, and published April 2019 by Bodleian Library Publishing. Renowned for her gentleness and intelligence, the princess attracted the attention of a neighbouring but pagan royal, Algar of Mercia. Frideswide rejected him because she had decided she would never marry. 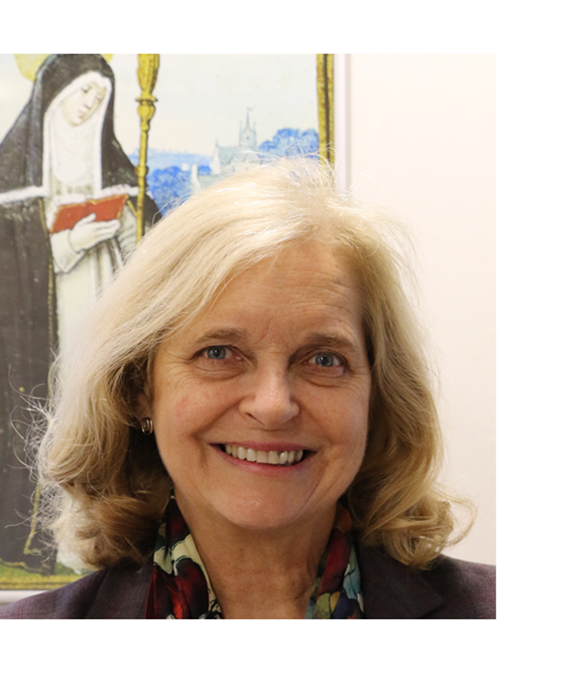 She wanted instead to become a nun and dedicate her life to serving the poor, healing the sick and worshipping God. Algar, furious and vengeful, determined to kidnap Frideswide and so the princess was forced to flee from him and his Mercian soldiers. Legend says that she hid in the forest of Binsey, possibly rowing along the Thames, or climbing high into the branches to avoid capture. After several years, and many adventures, Frideswide returned, but Algar, keen to win her, attacked with his soldiers once again. However, as the king was about to seize the princess, a lightning bolt miraculously blinded him. Ironically this helped him to ‘see’ that his own powers were no match against Frideswide’s all-powerful God. 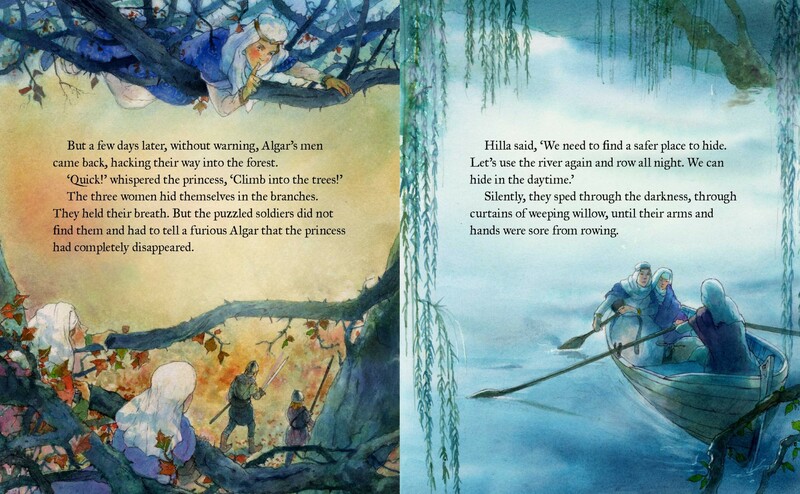 Algar left the princess in peace, so she could build the first religious foundation beside the River Thames. And today, Christ Church stands upon the foundations of that church.